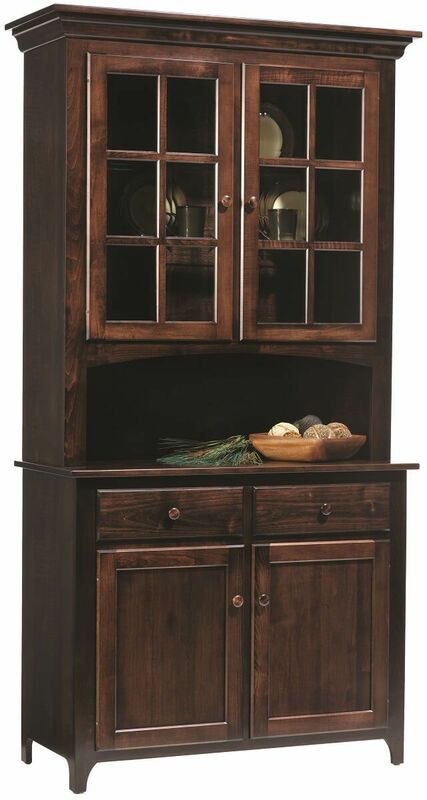 Complete with mullion glass display doors and elegant crown moulding, our Elisee Shaker China Hutch is truly a testament to fine Amish craftsmanship. 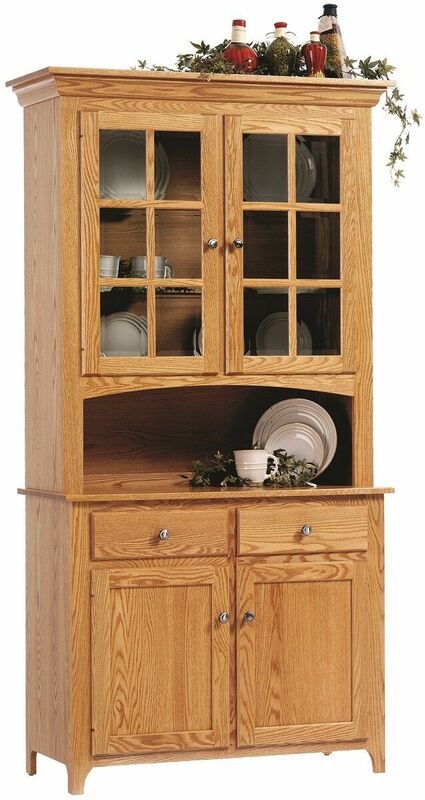 Your Elisee Shaker China Hutch will be handmade from the American hardwood you select. Choose Brown Maple in a Venezuelan Chocolate stain for the pictured look, or select any combination of our fine woods and stains to create a look all your own. 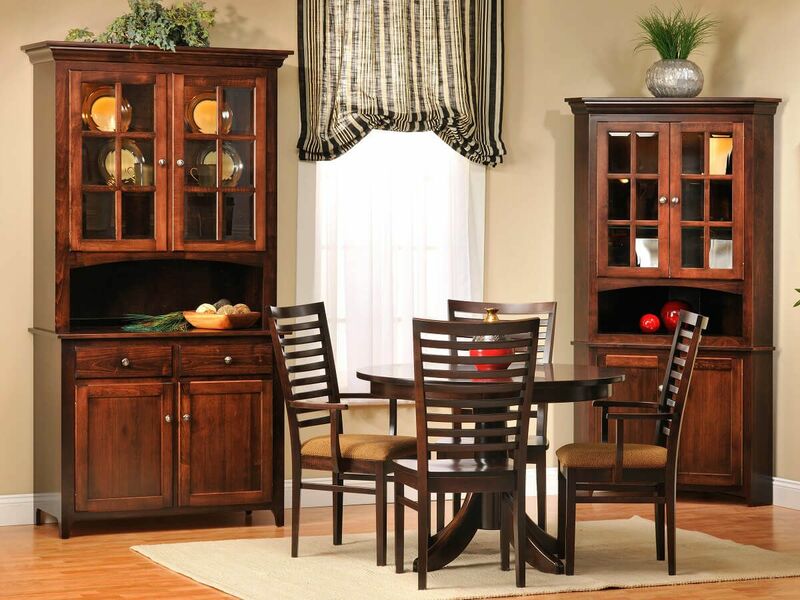 Your china cabinet should reflect your personal style and that of your dining room or kitchen. In addition to classic mullions and moulding, the Elisee Shaker China Hutch offers plate groove glass shelves, recessed display lighting and dovetailed storage drawers. Hardwood shelves within the buffet can be adjusted to meet your needs.